All Lifesystems Mosquito Nets come with a hanging solution, but it is easy to lose these, or leave them behind. 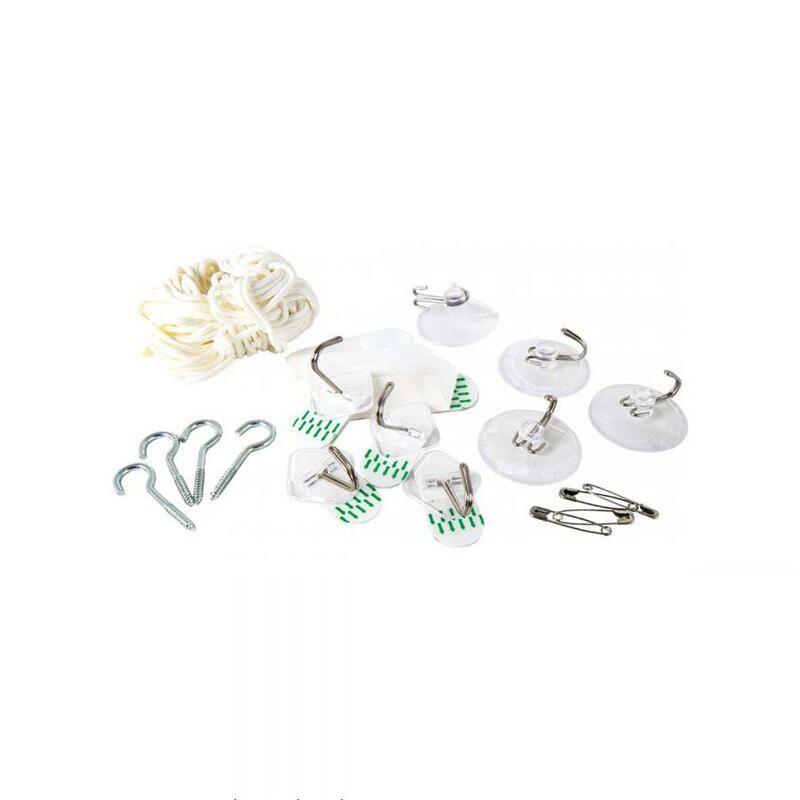 The Mosquito Net Hanging Kit comes with a number of hooks, sticky pads, loops and a length of string to help you to hang your net whatever your situation. 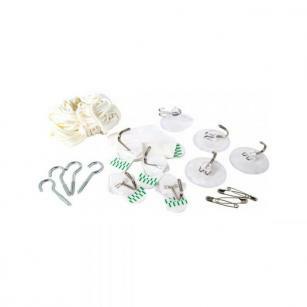 Contents: 14m white nylon cord, 2 rubber suction hooks, 4 safety pins and 4 screw-in hooks.